***Honda Accord EX-L Sedan*** Auto, Leather, Sunroof, Keyless, Camera, Very CLEAN, JUST Traded!! LOW Miles... Very CLEAN... JUST Traded!! 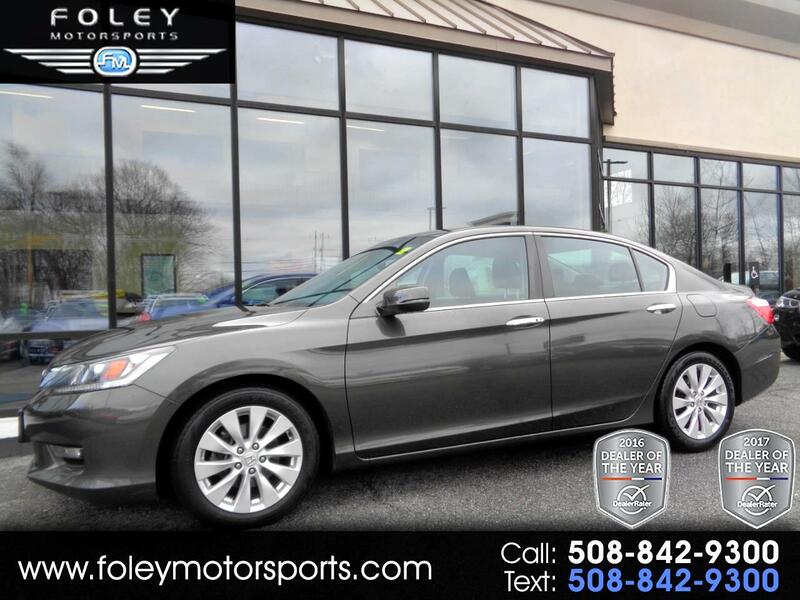 2014 Honda Accord EX-L Sedan... Modern Steel Metallic on Black Leather... 2.4L 4 Cyl Engine... Automatic Transmission... Excellent Condition... Well Equipped... Heated Seats... Rearview Camera... Power Sunroof... Bluetooth Hands-Free... 17'' Alloy Wheels w Good Rubber... USB/AUX w Power Outlet and much more!! Please feel free to contact our experienced sales team with ANY questions or to schedule a test drive. Buy with confidence from the area LEADER in Pre-Owned LUXURY. Additional 5 Year/100K Extended Warranty Coverage Available. ALL of our vehicles are meticulously detailed and serviced by our factory trained certified technicians. Call or email us at sales@rjfoley.com **$0 Down** 100% financing available with great rates! Trades are always welcome. National and International shipping quotes are available.